Following its Opinion on 21 December 2017, the European Insurance and Occupational Pensions Authority (EIOPA), yesterday (5th November) issued a call to action to ensure service continuity in cross-border insurance. In the December 2017 Opinion, EIOPA urged insurance undertakings and regulators to take the necessary steps in good time to ensure the continuity of cross-border insurance contracts between the UK and EEA following Brexit. Now, EIOPA calls for “immediate and reinforced action” by insurance undertakings and regulators in order to avoid disruptions to service continuity. Sébastien Gros, partner at Hogan Lovells’ Paris office, states that he expects all EU regulators to stick to the letter of the EIOPA Opinions. EIOPA is “closely monitoring the contingency planning of insurance undertakings”, particularly those from the UK with cross-border business in other EEA countries. Based on data collected so far, its assessment is that the issue of service continuity does not give rise to financial stability risks. However, EIOPA “will continue to closely monitor and assess potential financial stability risks”. 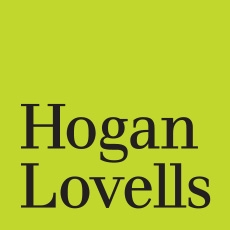 This plan of action comes just days after EU officials rejected press rumours that a Brexit deal had been struck for financial services (see here for comment from Hogan Lovells partner, Rachel Kent). Notwithstanding this, EIOPA clearly remains significantly concerned with addressing operational service continuity. The European Commission has also expressed concern regarding service continuity in its notice to stakeholders for insurance on 8 February 2018. The Commission highlights that insurance undertakings should “assess the impact of the UK’s withdrawal from the EU on their operations and contract portfolios and, in cooperation with the relevant national supervisors, identify and mitigate risks”. The letter from Guy Verhosfstadt, the European Parliament’s Brexit coordinator, to the House of Commons’ Exiting the EU Select Committee, points out that insurance firms should clearly inform their policyholders about the possible impact of Brexit on their insurance contracts and on the relevant measures taken by the insurance firms. The issue of disclosure of information to policyholders was addressed further in EIOPA’s Opinion on 28 June 2018.